Mixbook is an online personalized Greeting Cards and Stationary website. They make all types of cards, invitations, photo books and calendars. 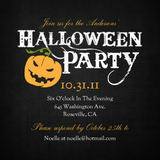 Right now is the perfect time to get your Halloween party invitations made just in time for Halloween! 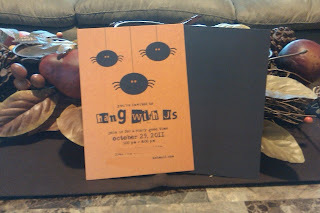 We had a super cute set of "Hang with Us" Spider themed Halloween party invitations made for our party. Its a cute and spooky way to invite your friends for a fun time. Its the special touches like a personalized invite that make the holidays fun. I think in the word of text and emails, getting a envelope in the mail with an invitation is a wonderful thing to get for your kids. It shows them they are wanted at a party with friends and family. Plus it will be a good way to remind them to send a Thank You card after attending a party. *I was not paid or compensated for this post. The opinions in this post are 100% mine and may vary from other opinions. I was provided for free the product pictured for my review.